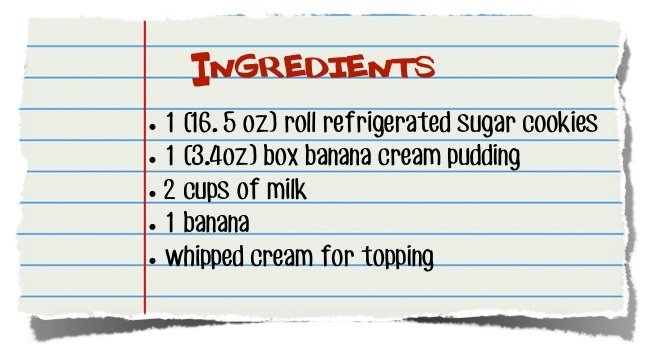 You heard it right– Banana cream pie…. COOKIE CUPS! 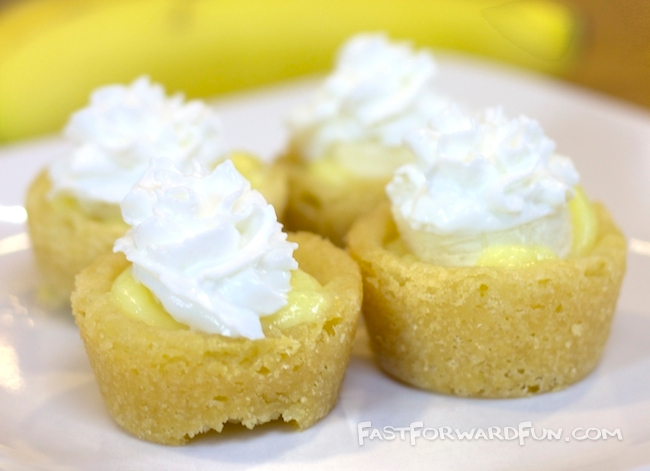 A genius and delicious way to make banana cream pie a finger food. These little guys are perfect for parties, and because they’re so tiny, you can have just one without all of the guilt. And, there are so many possibilities here! How about chocolate cream pie or little strawberry shortcakes? 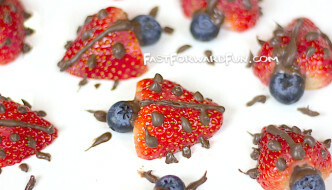 Perhaps make a variety of flavors for all of your party guests. 1. 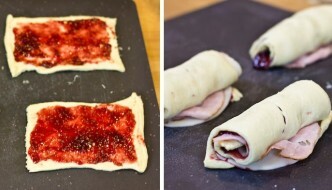 Gather your ingredients and preheat your oven to 350 degrees. Prepare the pudding according to the package directions. 2. 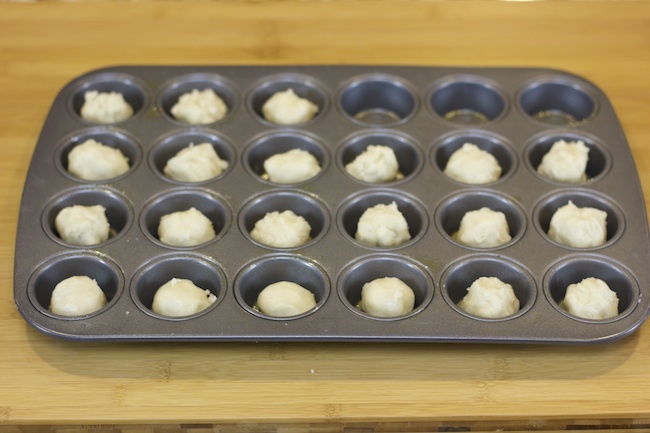 Generously grease a mini muffin pan, and roll your refrigerated sugar cookie dough into equal small balls, filling each section (I came up a little short). It’s important to make the cookie dough balls as equal in size as possible so that they all bake the same. 3. Bake in the oven for approximately 15-25 minutes until you see the cookie dough turning golden brown around the edges. 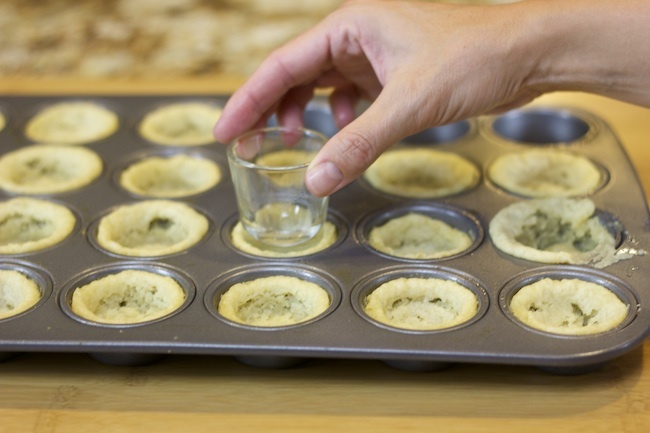 Immediately after taking the cookies out of the oven, use a shot glass to help form your cups. 4. 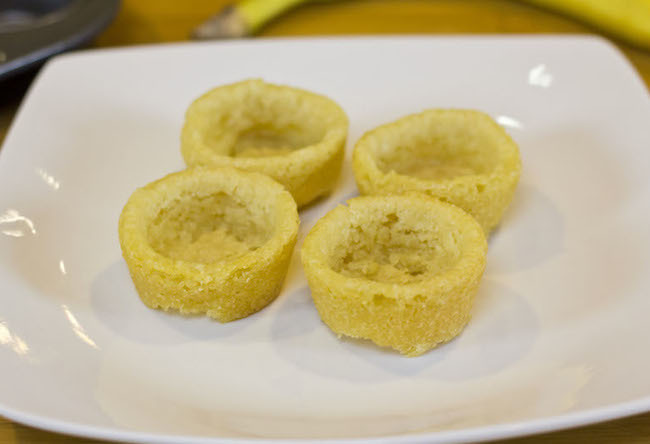 Allow the cookie cups to cool for about 10 minutes before popping them out of the muffin tin with a butter knife. A few of them may be tricky to get out, so have patience! If you find that they are falling apart, allow them to cool a little longer. 5. 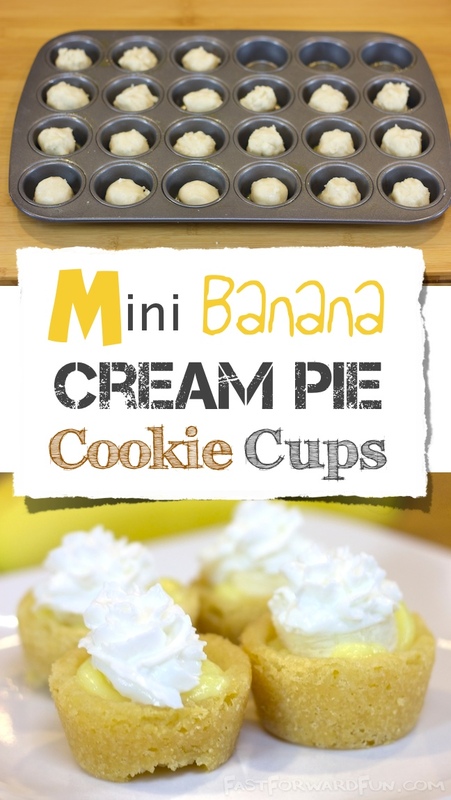 Fill the cookie cups with a dollop of pudding, a slice of banana, and then top with whipped cream. You could also top them with a few chopped walnuts. 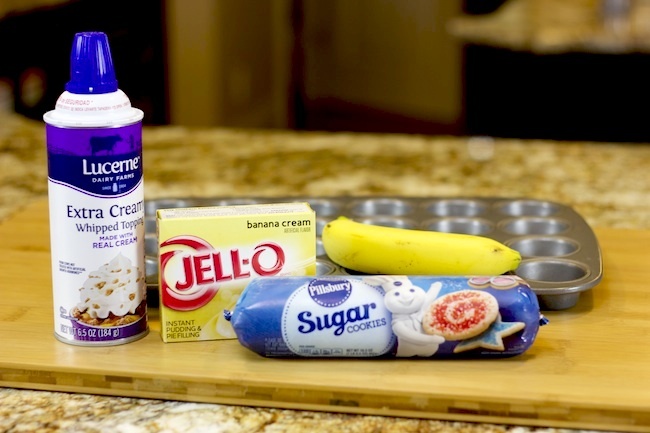 Don’t be afraid to get creative with your fillings and toppings!